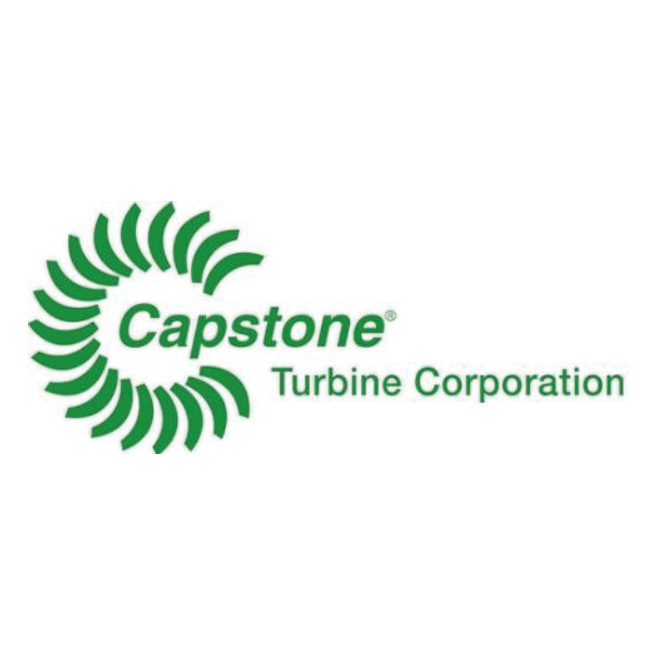 Capstone Turbine Corporation® is the world’s leading developer and manufacturer of clean-and-green microturbine power generation systems, and was first to market with its high efficiency air bearing turbine technology. Capstone has shipped thousands of microturbines to customers worldwide. These innovative and award-winning systems have logged millions of documented runtime operating hours and are compliant with current and future emissions regulations. With over 96 distributors and Original Equipment Manufacturers (“OEMs”) worldwide, Capstone’s low-emission microturbines serve multiple vertical markets with industry-leading reliability and efficiency. Capstone offers a comprehensive product lineup, providing scalable solutions from 30kW to 30MW. Capstone microturbines can also operate on a variety of gaseous or liquid fuels and are the ideal solution for todays distributed generation needs. Capstone is a member of the U.S. Environmental Protection Agency’s Combined Heat and Power Partnership which is committed to improving the efficiency of the nation’s energy infrastructure and reducing emissions of pollutants and greenhouse gases. A UL-Certified ISO 9001:2015 and ISO 14001:2015 company, Capstone is headquartered in the Los Angeles area with sales and/or service centers in the United States, Latin America, Europe, Middle East and Asia.